Flush Cutting Razor Saw has a blade with medium .015in. kerf, 16TPI, 6-1/2in. length, 1-1/4in. depth, flexible blade. 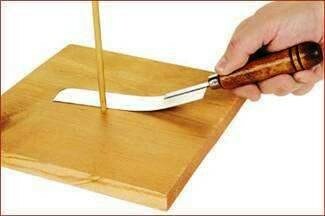 For pull stroke flush cuts of dowels, pegs, tenons without marring hard or soft wood surfaces.